Remember last week when I mentioned the new Sports Talk on TribLIVE Radio? Be sure to tune in tomorrow to hear yours truly being interviewed in the 4 o clock hour! I can’t wait! Forbes.com recently listed out their Best-Dressed Athletes in the world. A lot of the choices were not a surprise to me, Tom Brady, David Beckham, Lebron James etc. 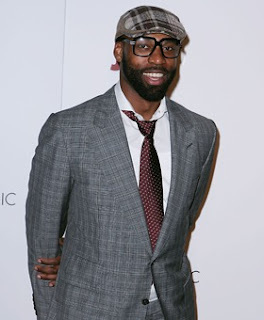 The article did open my eyes to a few athletes that I had no idea dressed so well! Baron Davis (pictured above) for example. The guard for the L.A. Clippers has an eye for vintage clothing and accessories. Refusing to use the same stylist as the rest of the team, he really stands out! I would love to see a designer collaboration with some of these guys! Whose style do you like from the list? Who do you think is missing? With all of the hustle and bustle of the playoffs I almost missed the launch of “Sports Talk on TribLIVE Radio“. This internet only station features well known and knowledgeable hosts like, Chris Mack and Former Penguin Rick Tocchet, John Steigerwald, Ken Laird, former Steeler Deshea Townsend, and former Pitt basketball star Julius Page! What a line up! This link will take you straight to their live show! What better way to spend your workday? 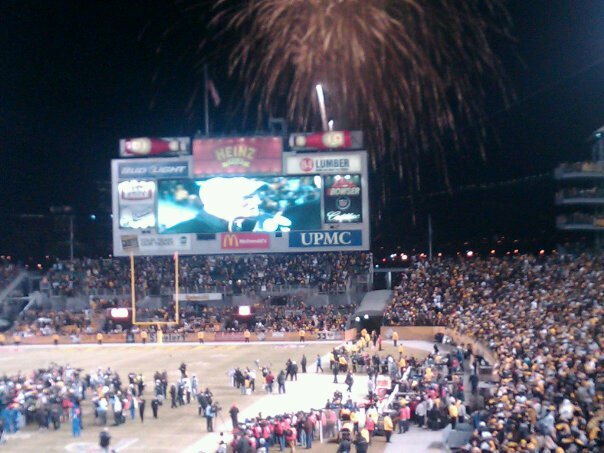 It still hasn’t hit me entirely that we’re heading to the SUPERBOWL. After the pre-season we had who ever would have thought we’d be here!! I snapped this pic at the game on Sunday before I danced the night away. Enjoy! I was lucky enough to attend the Steelers game this past weekend! I had a blast with an old friend I had not seen in years! 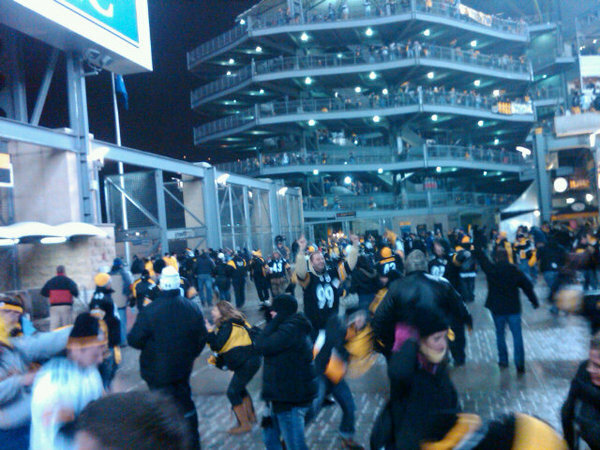 I snapped this picture after we won and everyone was dancing to Black&Yellow under the screen in gate A. I’m kind of obsessed with the happiness that you can just feel by looking at it, so I wanted to share! 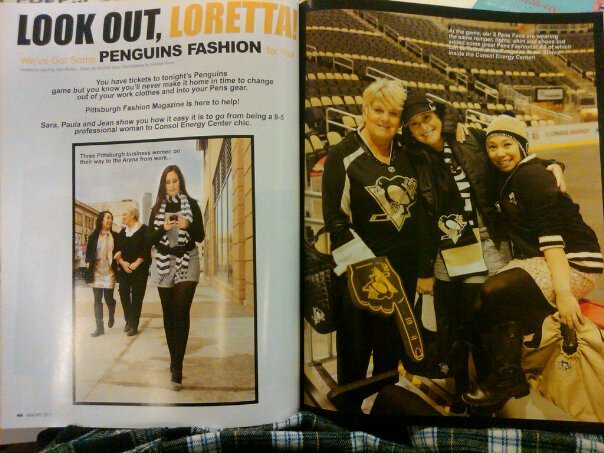 Pittsburgh Fashion Magazine, Penguins edition! Unfortunately I’m not able to show you the on-line version of the shoot I styled for Pittsburgh Fashion Magazine, but here is a pic I snapped with my phone! I am so happy with how it all turned out! 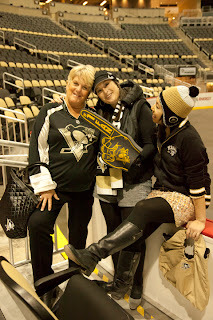 The models, my mom, my friends Jean and Sara and I had so much fun! 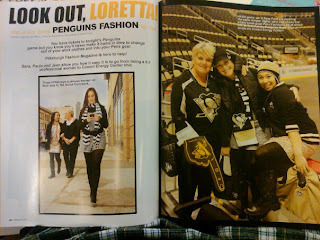 I want to give a special thanks to Karen from the Consol Energy Center for lending me the Penguins clothes for the girls to wear! I’ll be detailing out the outfits soon! Thanks for the kind words and support about the issue! I wanted to update you on the project I was working on that I briefly mentioned in a post….